The KunstKamer (The Art Room) is a space in Amsterdam where, for a period of 7 months, seven artists stayed and worked during a period of five days.. On Saturday 26 and Sunday 27 May from 12.00 to 18.00, a selection of the artworks that were made by the participating artists are on show at TOON. You are most welcome! The seven participating artists are: Judith Zwaan, Maartje Jaquet, Iris Depassé, Irene van den Bos, Kasper Jongejan, Dorien Bellaar and Shelley Savor. 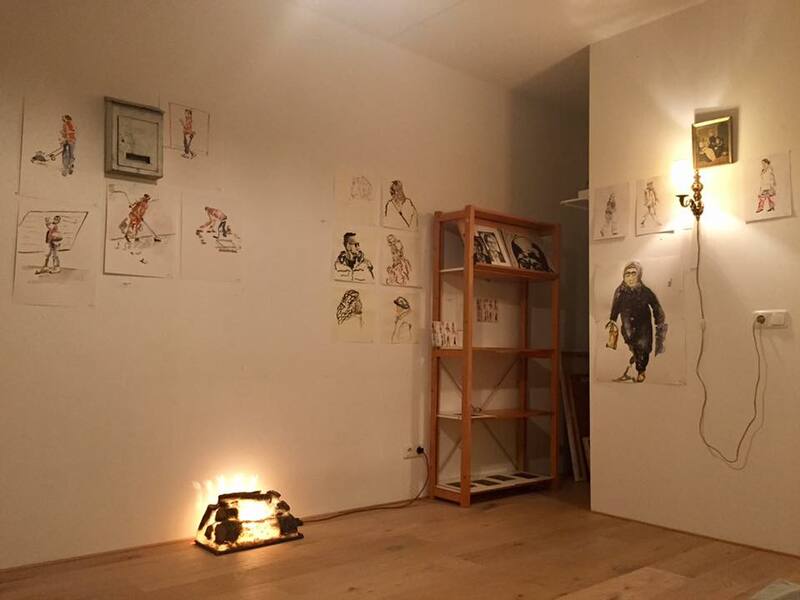 Posted by mjaquet on 2018/05/23 in "group exhibition", artist in residence, drawing & painting, exhibition, for sale, international, painting, portrait and tagged "group exhibition", AIR, amsterdam nieuw west, artist in residence, exhibition, expositie, groepsexpositie, KunstKamer, toon, toon amsterdam.